It may be that the very start of life is the time that is the most important to your health, for the rest of your whole life. And we’re just now beginning to understand it. There have been terrific advances in our understanding of the pioneer gut bacteria and the more than 200 prebiotics in breast milk. Many of these bacteria come from the mother’s breast, and the huge array of valuable prebiotics in breast milk is called the glycobiome. 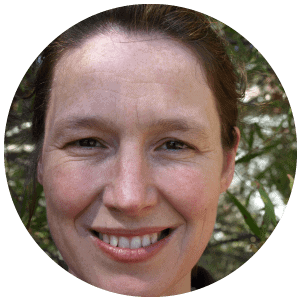 Dawn Whitten is one of the most up to date Naturopaths in this area of Natural Medicine. Her partner, Jason Hawrelak, and herself follow the latest research in this area and she is very excited to be able to share many important new findings and concepts with us. The breast microbiome and the glycobiome are emerging topics receiving substantial research attention. This is an area where natural health care is offering considerable benefits to people. Clear explanations of how to achieve outstanding clinical results. Access to the video and audio recording of the presentation. Dawn is a naturopath, herbalist and an International Board Certified Lactation Consultant. She has been in clinical practice for 14 years, mostly in busy apothecary and clinic settings where she has had the opportunity to work with many mothers and babies. She participates in peer-education and is passionate about sharing her lactation knowledge in the naturopathy field. Dawn is part of the collective running Goulds Natural Medicine, an apothecary and clinic, established in Hobart Tasmania in 1881. She also coordinates one of the units within the Evidence-based Complementary Medicine post-graduate program at the University of Tasmania.